Browse » Home » Warehouse Sale » MATTEL Warehouse Clearance: Barbie, Hot Wheels, Fisher-Price & more! MATTEL Warehouse Clearance: Barbie, Hot Wheels, Fisher-Price & more! 3 Days only! 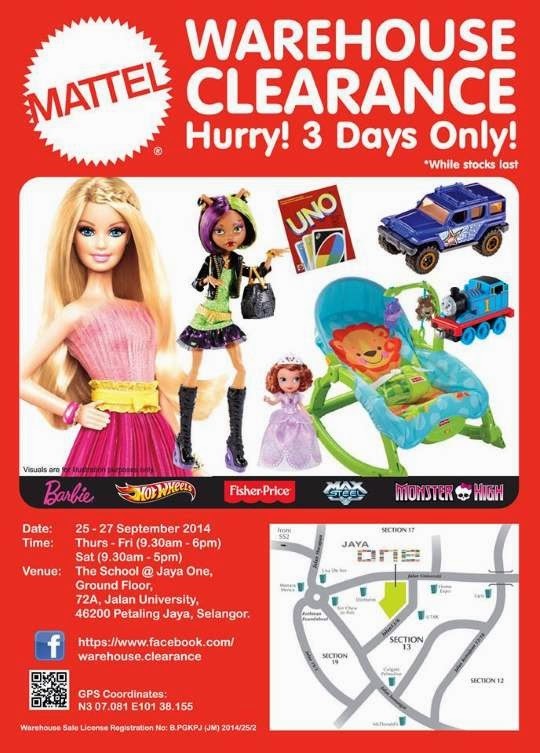 Barbie, Hot Wheels, Fisher-Price & more at marked down prices!